Self described as Coloradao Reggae Rock P-Nuckle has been in the scene for well over a decade now and have put out a number of albums that has progressed in their sound as well as lyrically. Front man Chris LaPlante said "The Lyrics have always been a big part of our music and we take great consideration in portraying a message of hope over diversity and despair." Their new album "The System" which it out now and available for purchase on CdBaby by clicking here was recorded by the band at Revolution Sound Lab in Denver Colorado. This time around as opposed to previous recordings they used a lot more Electonic Style Samples. 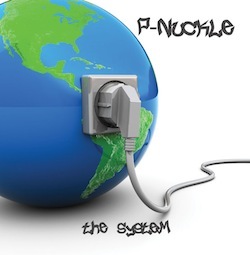 A band that is carving out an original sound in the sometimes regurgitated state of Reggae Rock where it seems many bands sound exactly the same, P-Nuckle approaches their music in a way to distance themselves from the repetivite sound that you may hear. The System is just another step forward in that direction and is an album that will hopefully grab the attention of the masses not just for their creativity but for their lyrics alone. Chris explains "the new album will hopefully give fans a second look at P-Nuckle, there is a pulse to this record in my opinion and the more you listen to it the more you feel it." The band has not toured to often in the past but has signed with a booking agent and is planning a tour out in Hawaii in May. Hear the track National Disaster featuring General Smiley from the new album on the player below.